The Lake District in the UK is one of England's most scenic areas. We've visited a few times before and always admired the rolling hills, beautiful scenery and fantastic culinary offerings. Visiting now in our motorhome gave us more time to get to know Cumbria's lesser known areas and roam to a couple of unexplored corners of this beautiful county. For our first stop we decided to take a look at the Cumbrian coast. We chose a cute little campsite in Haverigg, near the remote town of Millom. I am not sure I can call this coastline scenic. It is striking in an expansive, austere kind of way. The town is at the Duddon Estuary so you don't actually see the Irish Sea. In fact we saw very little water at all, even when the tide was in. But we got the opportunity to walk along the other-worldly banks of the estuary. These banks stretch for miles and miles, with scant evidence that sometimes this place is under water. The towns of Haverigg and Millom were a little run down. They may have seen better days but, then again, maybe they have never seen them. Still we were glad to have the shoreline to wander; the weather was glorious and being late June, the nightime was fleeting. Our next stop was a more traditional Cumbrian destination. The town of Keswick is your typical Lake District town, full of hikers, fish & chip shops and purveyors of marvelous sausages. We stayed just a few minutes from the center of the town in the Derwent Water Caravan Club site; a perfect campsite as we had family staying in a central Keswick hotel. The town lies on the scenic Derwentwater lake. On our first day we took a boat ride around the lake as clouds loomed overhead but never released the rain for which the Lake District is famous. The forecast predicted a second dry day so we took on the challenge of a ten mile hike on the footpath around the lake after breakfast the next morning. It was a sure fire way to feel justified in consuming our fish & chip suppers that night. The next day the famed weather came with gusto. The wind kept the motorhome rocking all night and it rained bucketfuls. 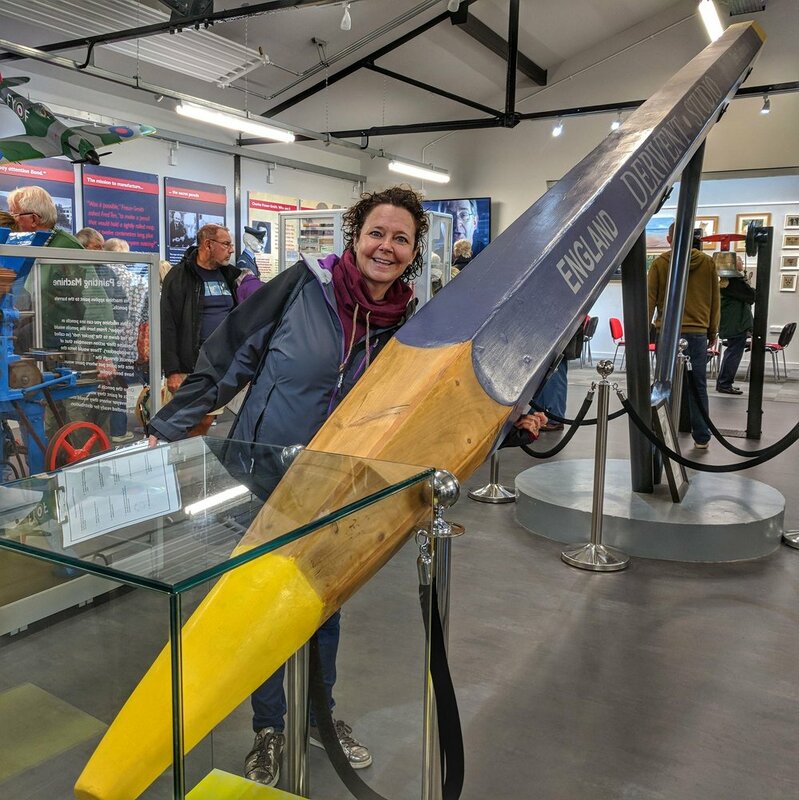 With the inclement weather forcing us indoors we took the chance to visit the Pencil Museum. The Cumberland Pencil Company still make their products in the UK, although no longer in the original Keswick location. It's a fun visit and even though how a pencil is made is not something that has ever crossed my mind before, I know now how it is done. Our final Cumbrian stop was also outside the Lake District in a small town call Kirkby Stephen. Altogether less touristy than Keswick, it's a peaceful and scenic area right on the edge of the Yorkshire Dales. It was a laid back couple of days, catching up on chores, wandering in the scenic fields near our campsite and frequenting the odd pub in the area. The weather has mostly been kind so far and now we are heading across to the other side of the country to some more unexplored territory for us. We will be in another of Britain's National Parks, The North York Moors and hoping that our sunshine luck will follow us as we head east.